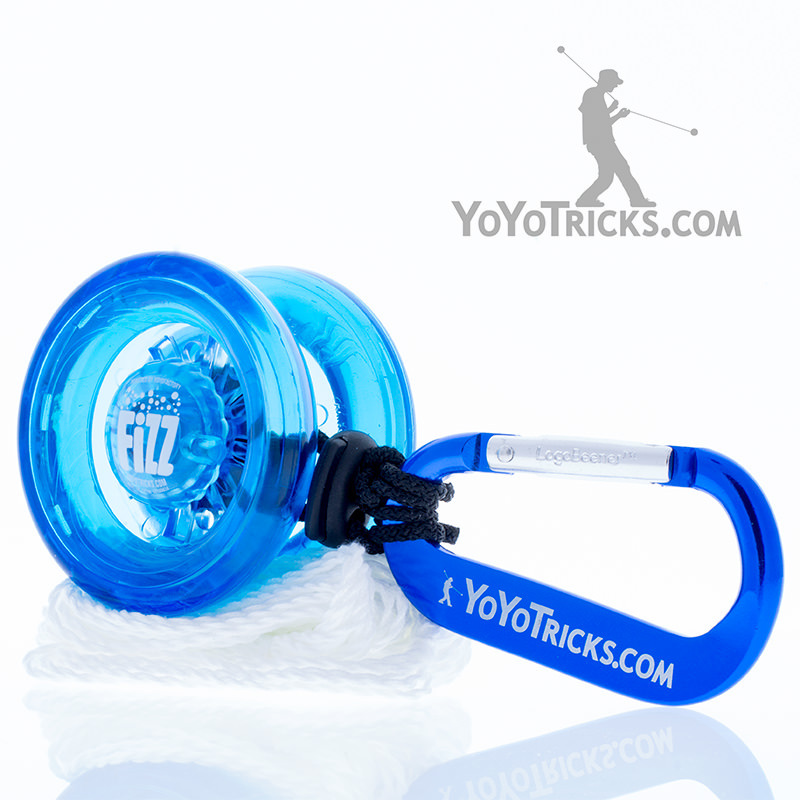 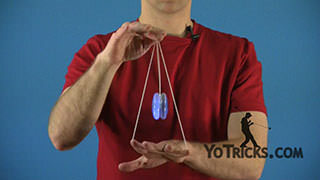 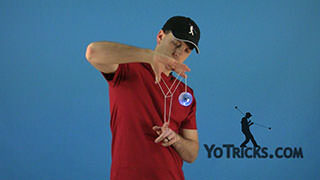 The Cross yoyo trick video. 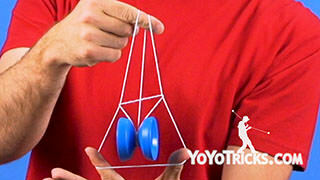 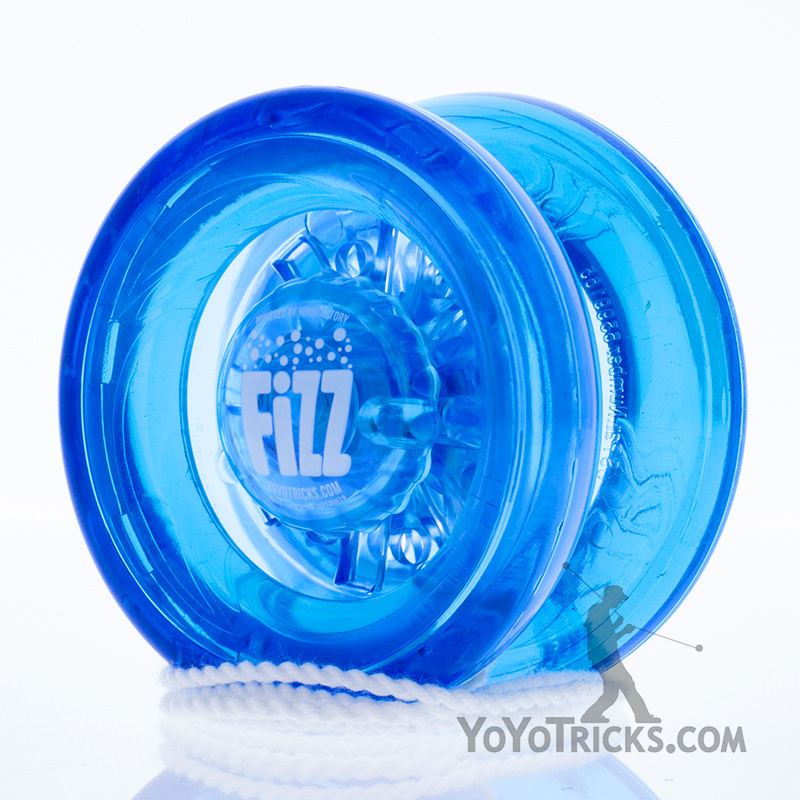 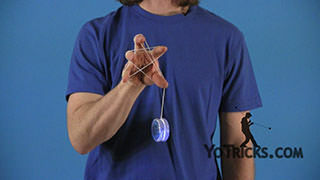 The Cross Yoyo TrickThis trick is called the Cross and it looks like this. 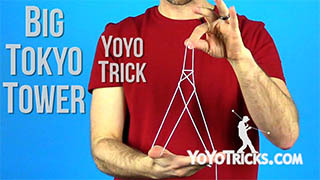 Now the Cross, it starts off exactly the same as the Eiffel Tower. 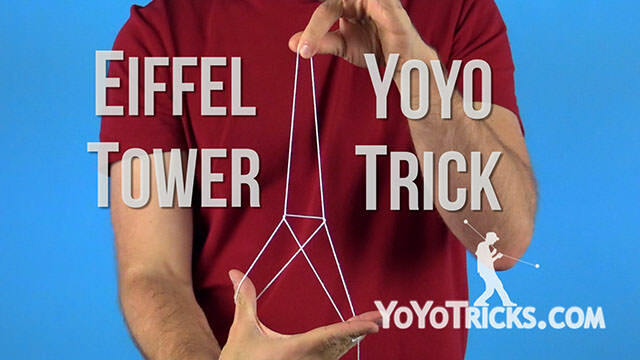 So, if you haven’t learned the Eiffel Tower yet, I recommend going back and learning that because that will make learning this trick a whole lot easier. 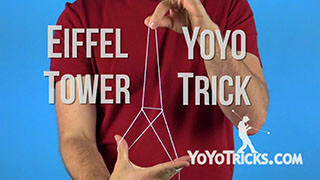 Just like the Eiffel Tower it starts by laying the string over your opposite hand, lifting up the string with the thumb on your yo-yo hand, twisting your hand back towards yourself. 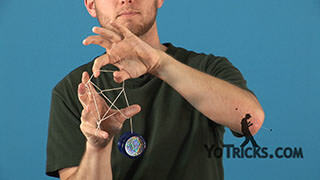 At this point, where you would normally grab the string, you want to do that, but instead of letting the rest of the string off of your opposite hand like you would with the Eiffel Tower, you are going to let all of it off except on your thumb and of course the first finger where you just grabbed that string. 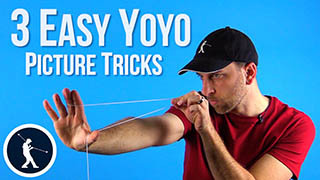 So now you’ve got string on both of your thumbs and on the first finger of your opposite hand. 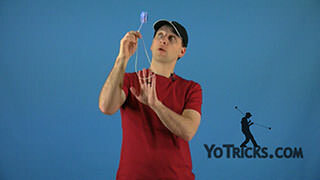 To complete the trick it is similar to the Eiffel Tower where you bend over the front and pinch the string between your ring finger and your yo-yo finger. 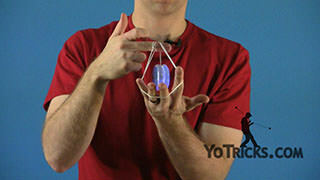 And, when you do that, you just give it a little shape; you hold it just like this, and you’ve got the Cross. 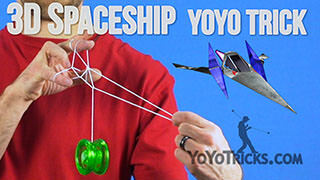 Here it is in full speed.